Sup babes! 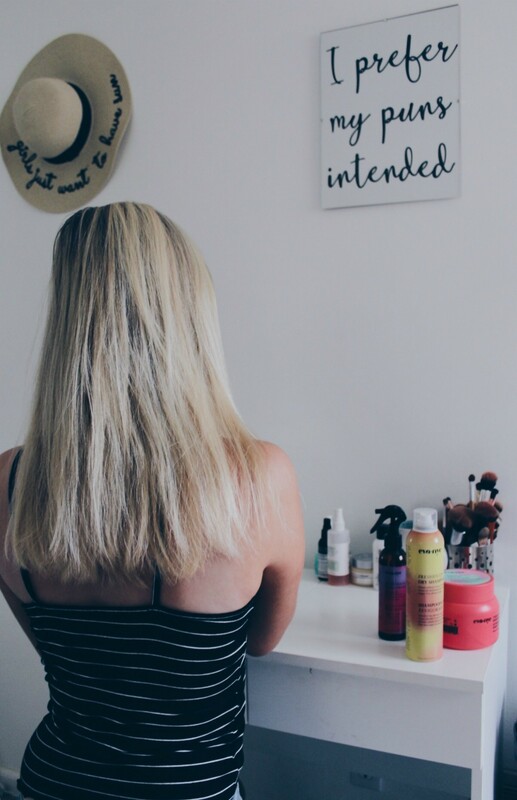 In the sticky summer months frizzy hair is inevitable, so haircare is extra important. 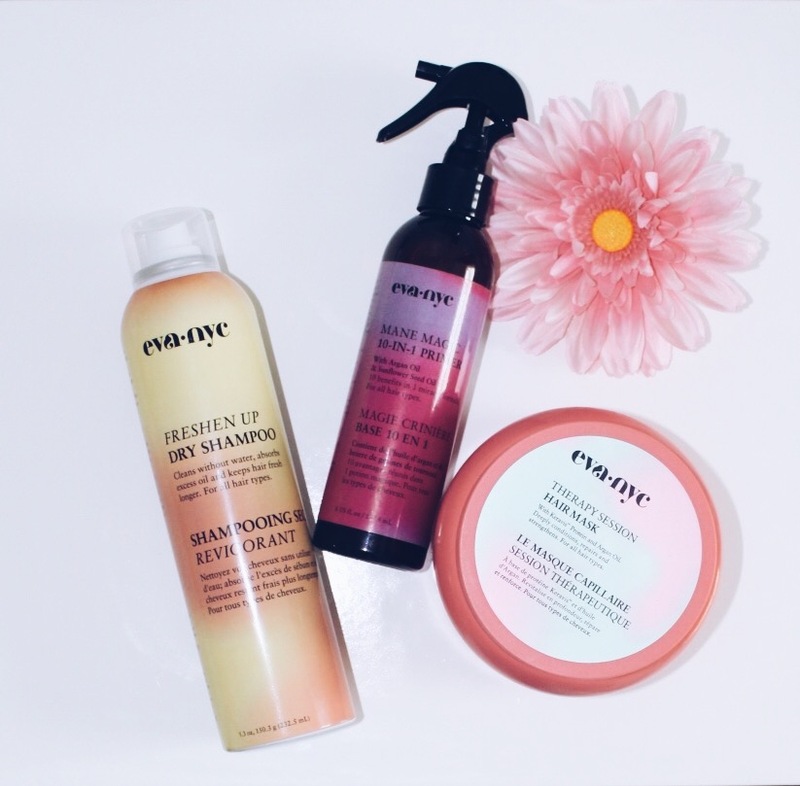 I love the look of healthy, glowing hair, and with these products I can achieve that! The best part about these products is that they are all under $20!! If you haven’t tried these out yet I highly recommend you do! My hair is like my child. I take pride in how it looks and taking care of it is something extremely important to me, especially in the summer. I recently discovered this amazing brand, Eva NYC. I can’t believe my hair has managed to survive without it tbh. Not only do their products make your hair feel and look magical, but they are a company based on women empowerment and the duality of real women. And their products smell freakin’ INSANE. Like if I could bottle the scent and make it into a perfume I would in a heartbeat. And guess what, Eva NYC is more accessible than ever because their products are now sold at Ulta!! Make sure you head to your nearest store to pick up these goodies 🙂 Here are some of my favorite products from Eva NYC!! Therapy Session Hair Mask $14.99: When I say to you that this stuff is like a creamy, magical experience I’m not exaggerating in the least bit. I got this product only a few weeks ago and I’m already halfway through it! You can use it as a daily conditioner (which is what I do because I love the way it smells and how soft my hair is afterwards), or you can use it as a hair mask a few times a week and leave it in your hair while you do your shower routine. Either way this product is fantastic and I want a lifetime supply. Mane Magic 10-In-1 Primer $11.99: Since I started using this people haven’t stopped complimenting how amazing my hair smells and how shiny and soft it looks! This super lightweight primer does 10 amazing things at one time. It detangles, nourishes, strengthens, cuts drying time, adds shine, reduces frizz and protects against uv rays. Literally, what more could you ask for?? Freshen Up Dry Shampoo $11.99: Generally dry shampoo isn’t my favorite haircare product. For some reason I feel like since my hair is so fine, it never really gives me the volume I’m looking for. 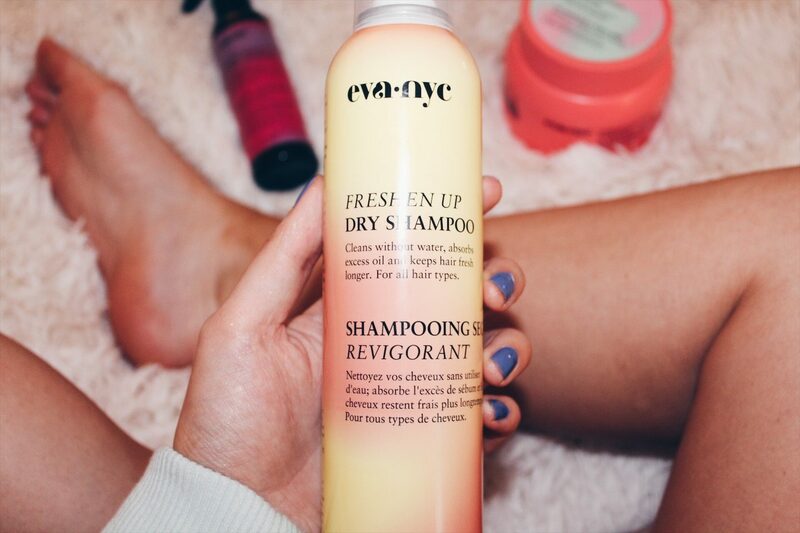 This dry shampoo is hands-down the best I’ve ever tried. It makes my un-washed hair look refreshed, clean, and voluminous. Some dry shampoos leave a white residue which is not cute in the least bit, but Freshen Up Dry Shampoo leaves not a trace behind! Another reason I love it so much is the ingredients. Lately I’ve been more cautious about what I put in and on my body, and I’m happy to know that this dry shampoo has natural rice starch instead of talc or aluminum like other dry shampoos. It also has Vitamin C which enhances shine, moisturizes, and strengthens my hair all in one spray!! Surfs Up! Texture Spray $11.99: I try to go heatless on my hair in the summer months as much as possible, that’s why a texture spray is my bff for creating effortless waves! This surf spray is packed with vitamins to make your hair shiny, give it lasting volume, and repair any damage. 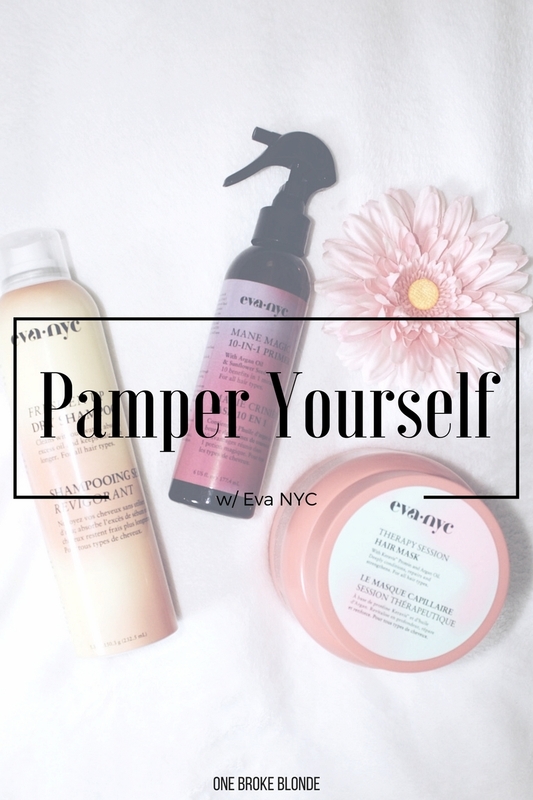 I hope this post has inspired you to give your hair some lovin’ with Eva NYC!! 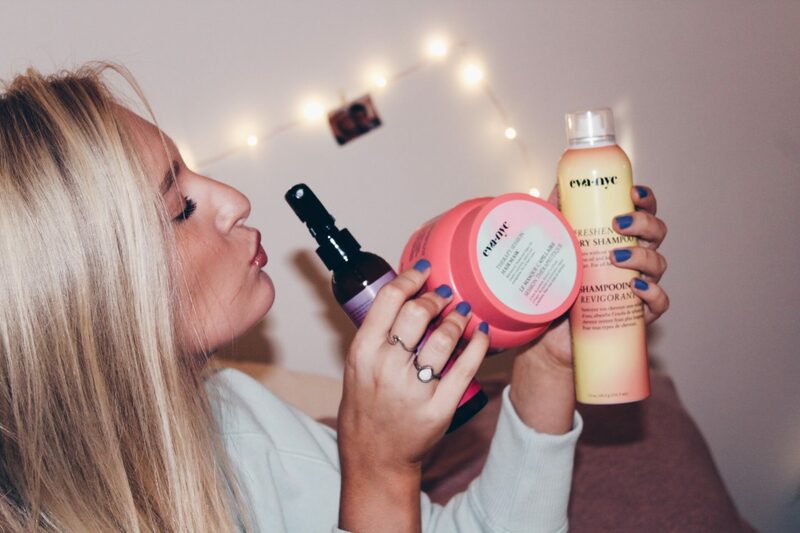 Make sure you head to your nearest Ulta to see all the goodies Eva NYC has to offer 🙂 Leave a comment below telling me your favorite haircare brand! Talk to you sooooon. "Meet Your New Fave Jewelry Brand!" "How To Not Make Mistakes While Shopping!!" Love!!!!! I am so so interested in trying this brand now!!! And how bout those towelettes? Genius!! !